In a steep elevated position, 450m from the beach; 600m from the town centre.Swimming pool; indoor heated pool; terraces; cocktail bar with widescreen TV and internet facilities; pool bar/lounge with coffee shop with adjoining lounge, serving snacks;..
Falésia Garden is part of Falésia Beach Resort, located on the idyllic Falésia Beach just a few minutes from the cosmopolitan city of Albufeira in the Algarve and a few metres from the restaurants, bars and shops of picturesque village of Olhos d'agua.Composed.. Located 300 m from the beach. The Falesia Mar Beach Resort is located in Olhos d'Agua, the beach is 300 m away and the resort center is 500 m from the hotel. Nearby towns include Albufeira 6 km away and Faro at a distance of 31 km. 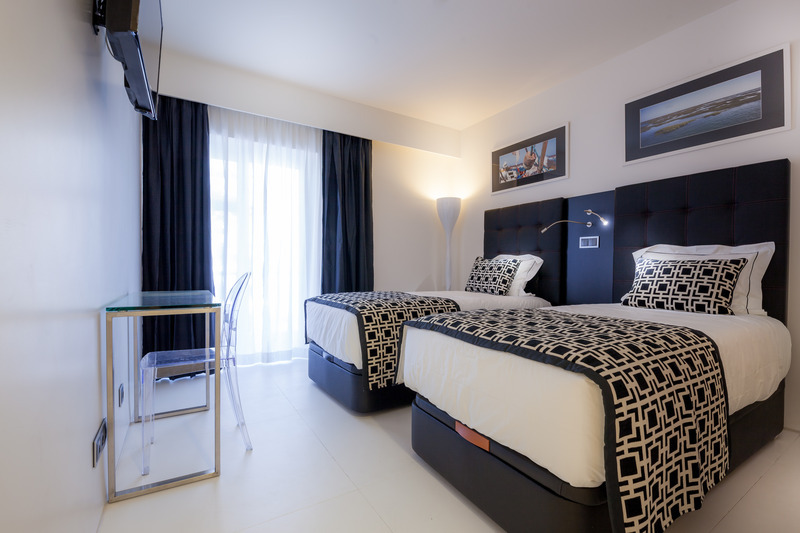 The hotel facilities..
Faro Boutique Hotel is located in Faro downtown, close to the Marina and the busy Rua de Santo António, a great place for shopping.The 38 rooms of the Hotel are confortable, soundproofing and have plenty of sun light. Some rooms have balconies equipped.. There are a total of 15 rooms on the premises. This attractive hotel provides the ideal base for both sightseeing and business. Varzea da Goldra 2 km from Loulé: Cosy, comfortable semi-detached house "Filipe V2 para 6 pax", renovated in 2000. Outside the resort, in a sunny position, 10 km from the sea, 10 km from the beach. For shared use: property 4'800 m2. Private:.. This pleasant aparthotel enjoys a peaceful location in the tourist area of Albufeira. The hotel boasts a tranquil setting, surrounded by orange trees in Vale de Carro/Acoteias just 3.5 kms away from the pleasant, sandy beaches the area enjoys. This charming..
General Description: Flor da Rocha is located 600 m from the sandy beach. The closest city to the hotel is Portimao (2 km). To make your stay more comfortable a reception is available. Mobility on holiday is simplified through car hire. The staff in this.. Situated in the coastal town of Portimao, by the Gulf of Cadiz, the Flor Da Rocha Hotel gives accommodation to families, couples, and small groups, who are visiting the Algarve. A lot of the local areas' destinations and attractions are convenient to.. Situated in the beautiful bay of Monte Gordo, just 100 metres from the beach, the Foz Atlantida Aparthotel provides comfortable rooms in an ideal location for a relaxing holiday in the Algarve. Start your day with a refreshing morning swim in the outdoor..